LESS POWER-HUNGRY--Save electricity bill compared to traditional light bulbs. 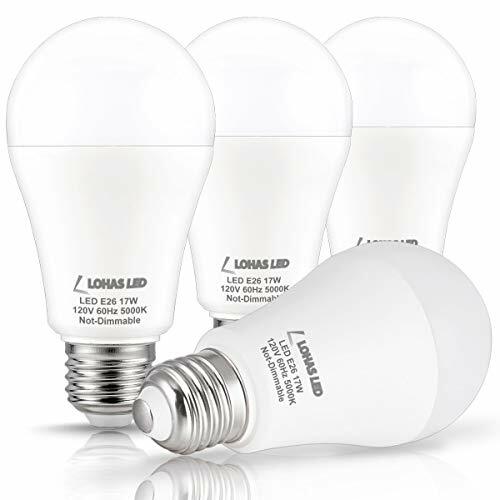 Replace a 100-150w traditional light bulb by a A19 LED 17W LED. EXCELLENT PERFORMANCE--Daylight white 5000K, give off a white illumination,1600 lumens, N0T Dimmable. EASY TO INSTALL--Standard A19 shape with screw base (E26). Dimension of this LED light bulb: 118*60mm.